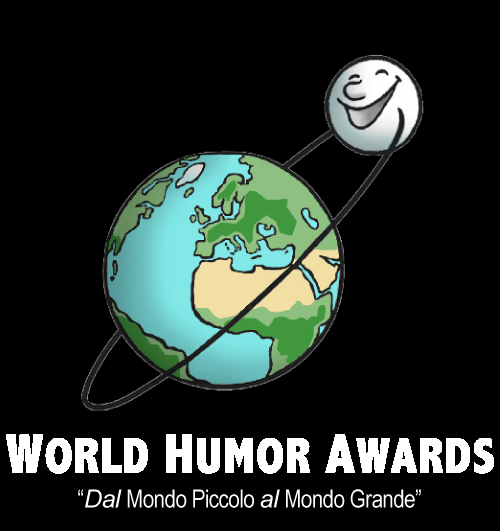 From the World Humor Awards website. 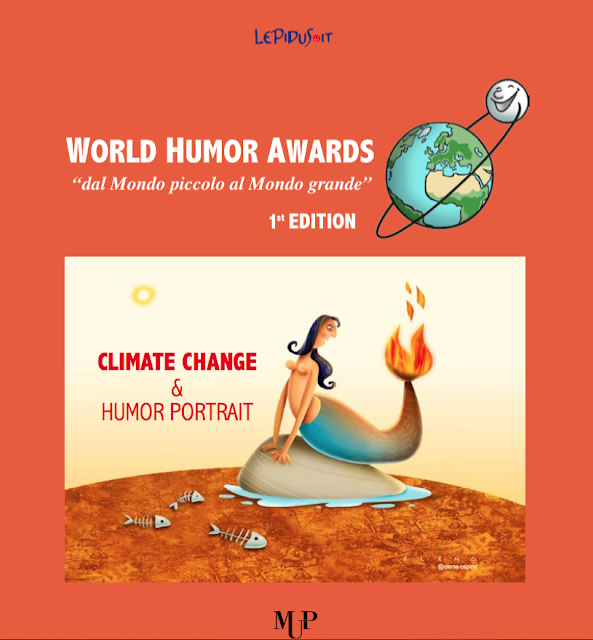 The exhibition of the works in competition in the first edition of the World Humor Awards was inaugurated last Wednesday in the stables of the Villa Pallavicino in Busseto, Italy. 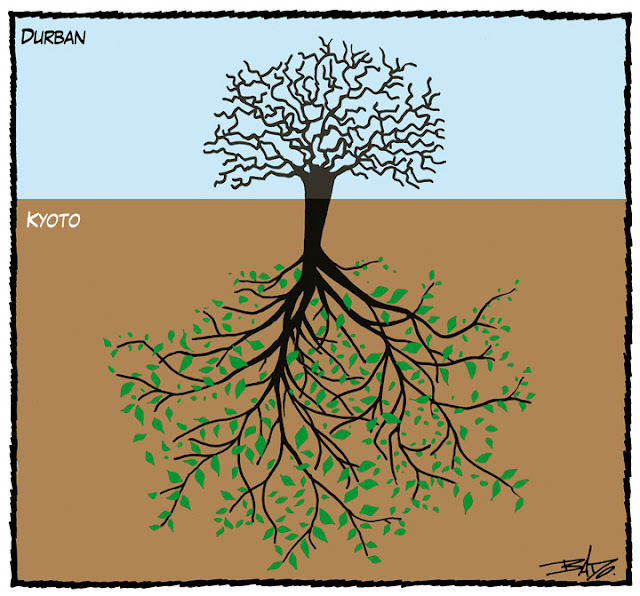 140 cartoonists from 51 countries and 70 Italian submitted work under the theme "Climate Change" while 25 foreigners and 20 Italians did the same in the caricature category. The first award, named after humorous author Giovanni Guareschi, will be given out on September 1 in Busseto. 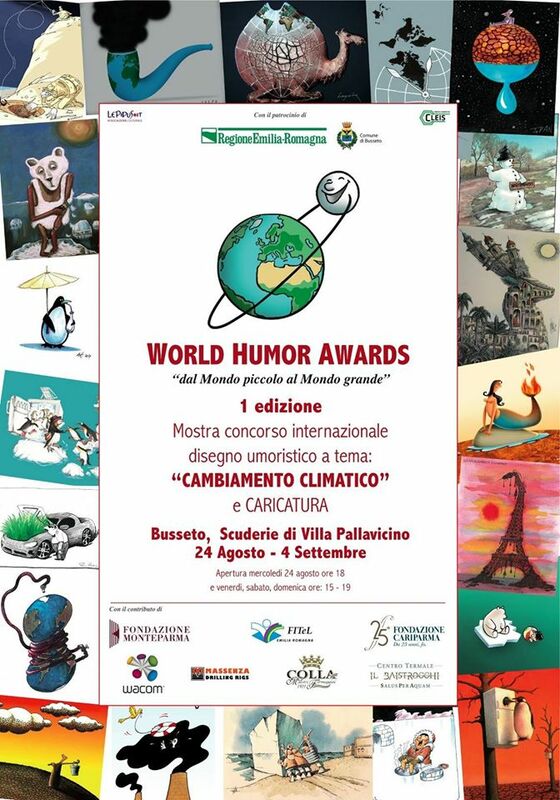 The award ceremony for the First edition of the International Cartoon Competition will take place in Salsomaggiore on the 25th of September.